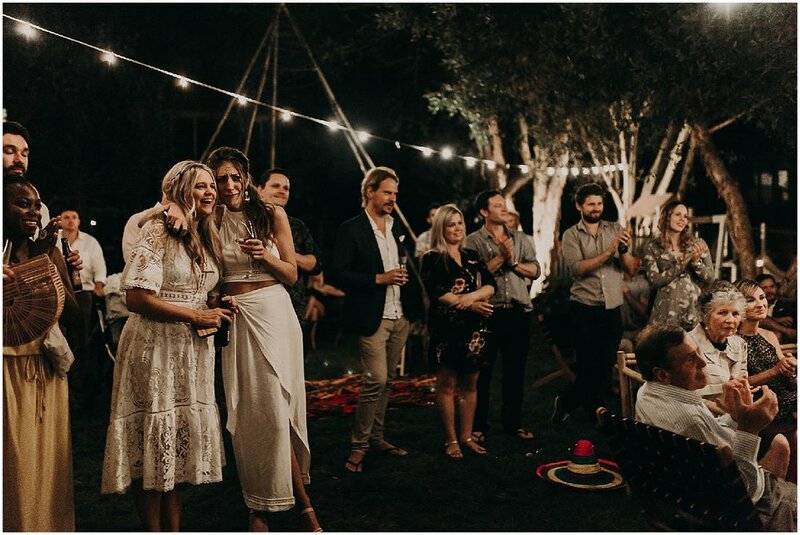 Congo lines, good crew, bare feet, and a whole lot of fiesta fun in a backyard is what shook up the little New Brighton in October 2017. 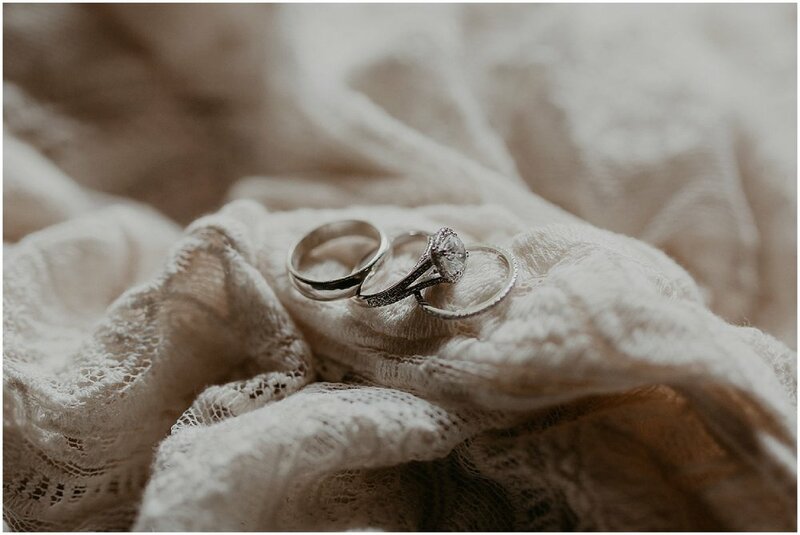 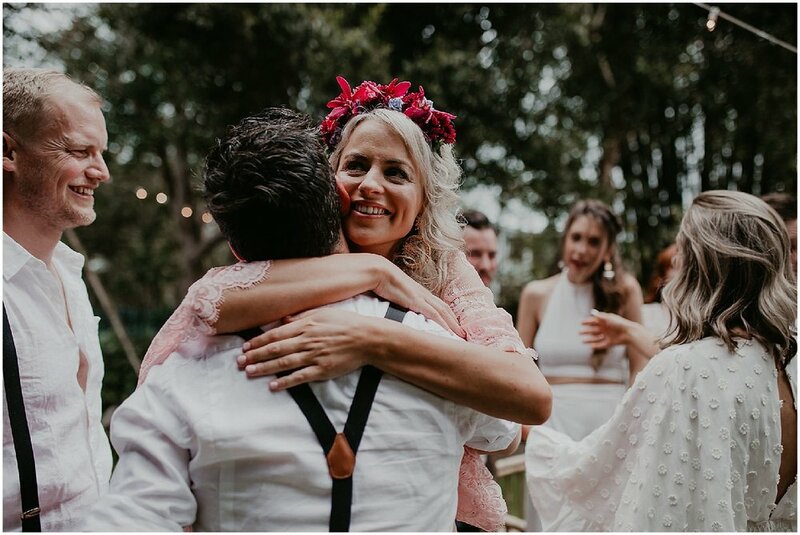 Sarah and Dan couldn't be a more real and genuine pair who had their wedding day focused on their family of four, the people who surround them and FUN. 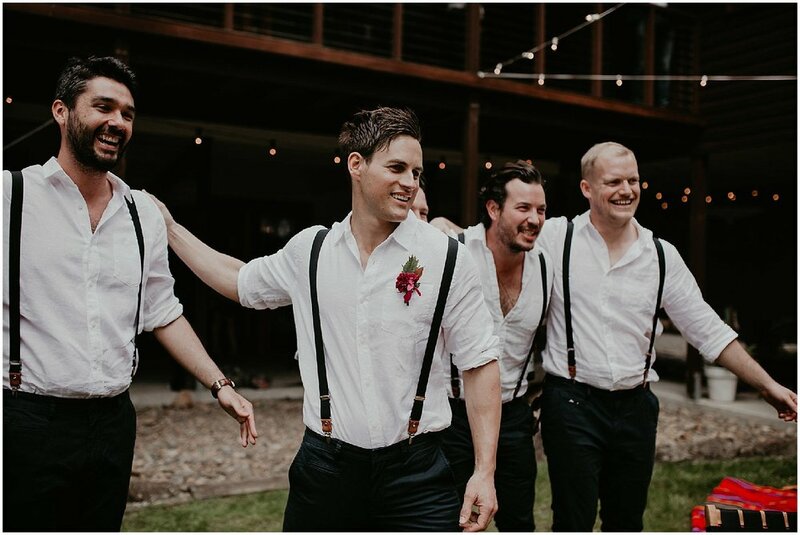 Man was it fun! 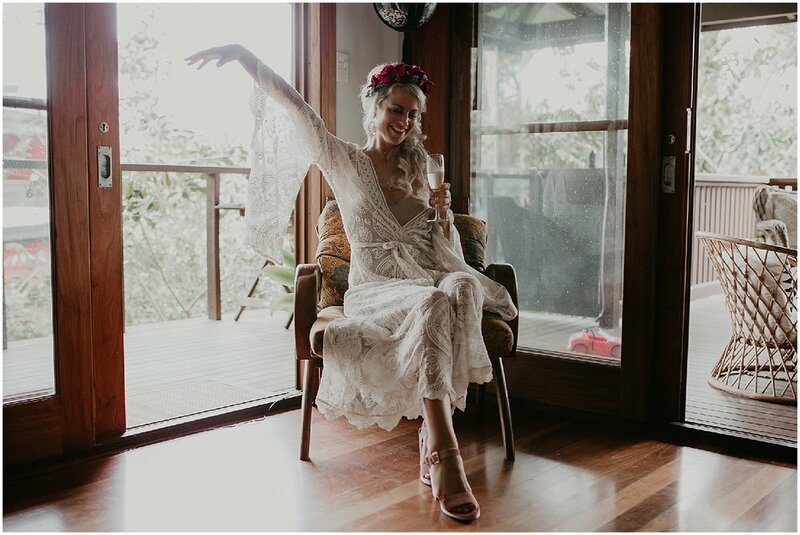 Styled and planned by Peachy Pie, I always know i'm in for a treat. 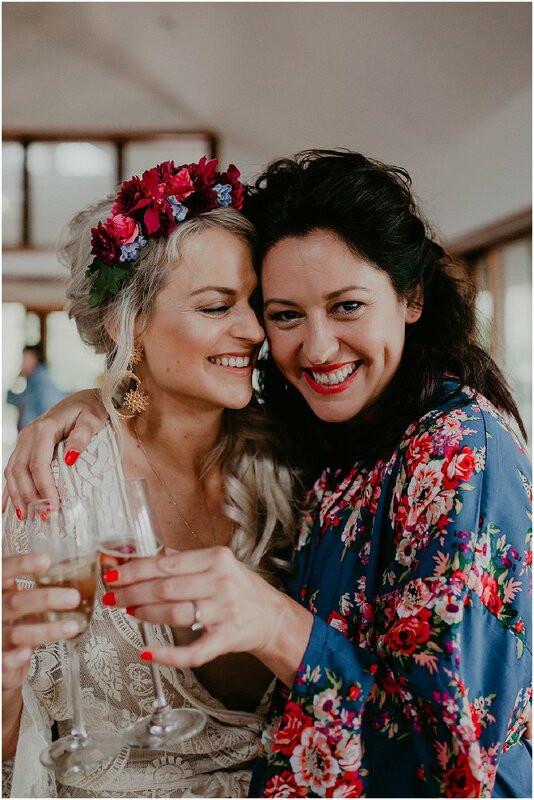 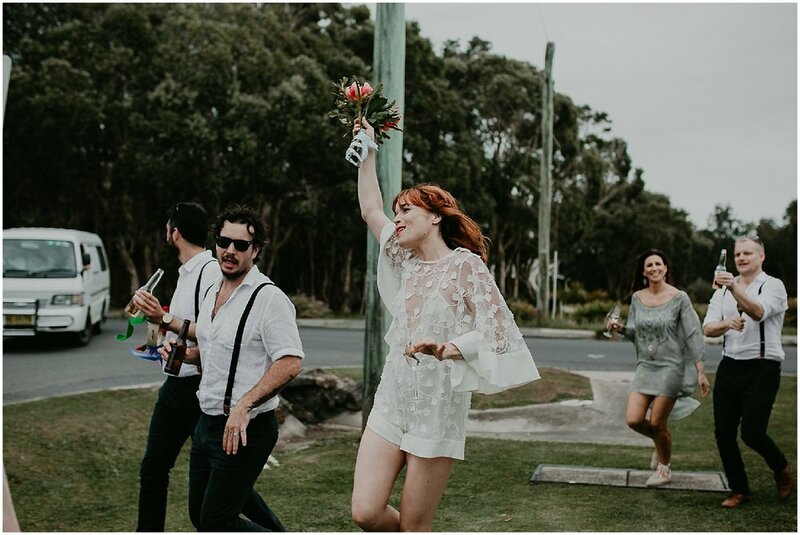 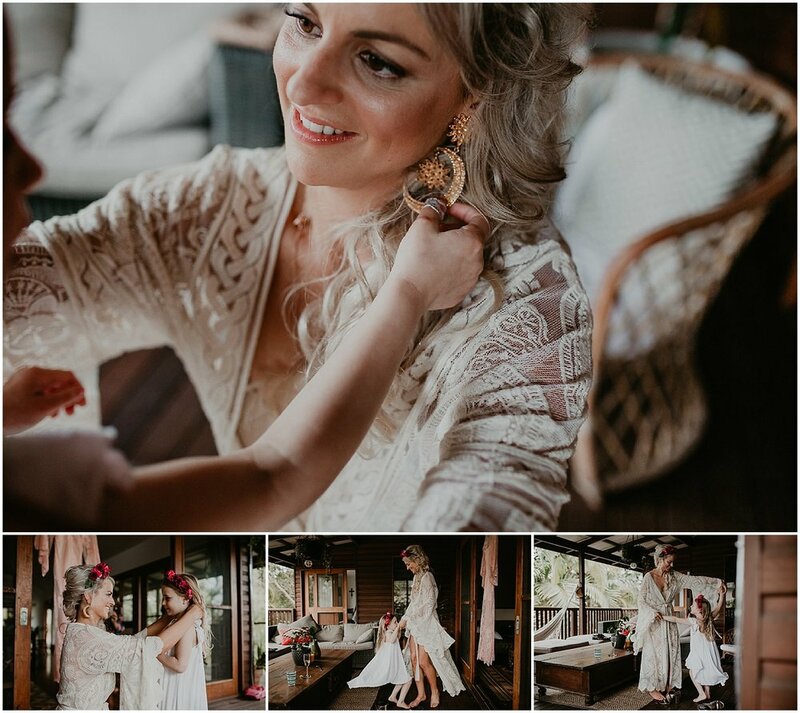 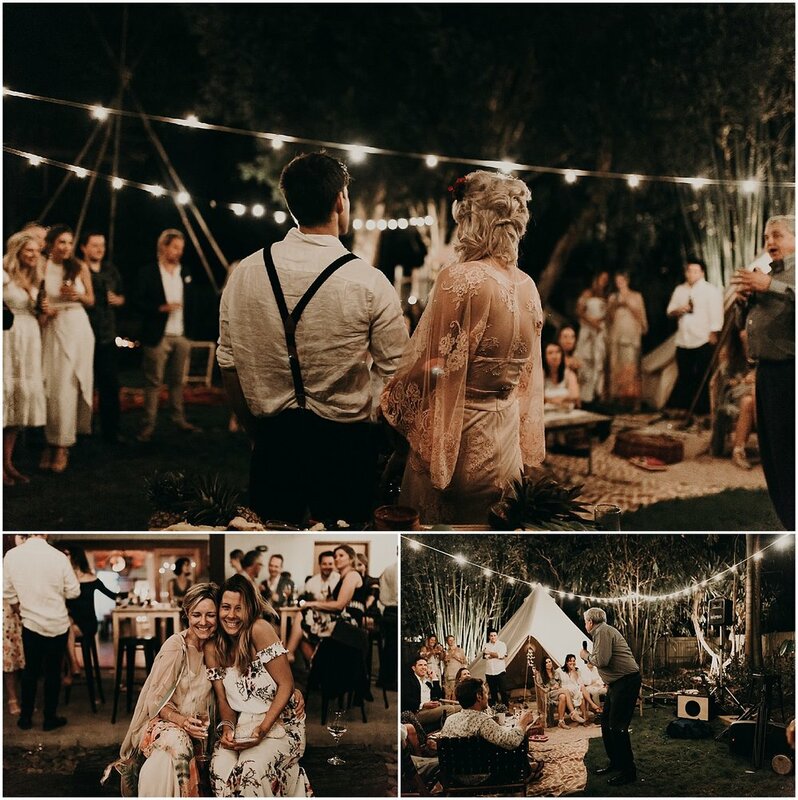 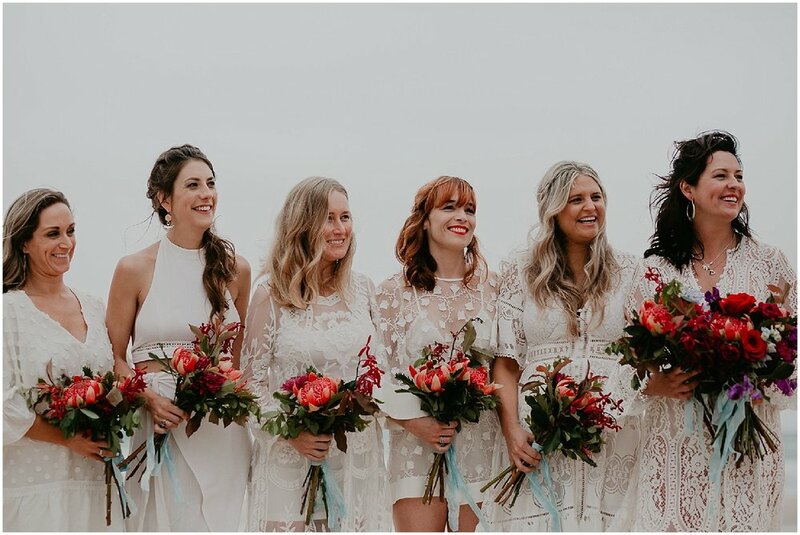 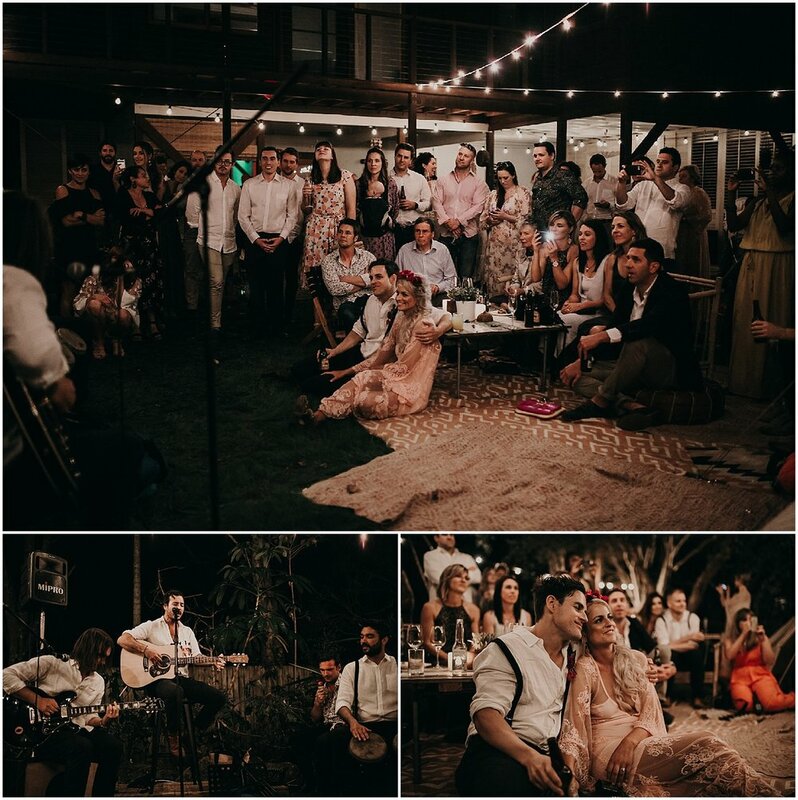 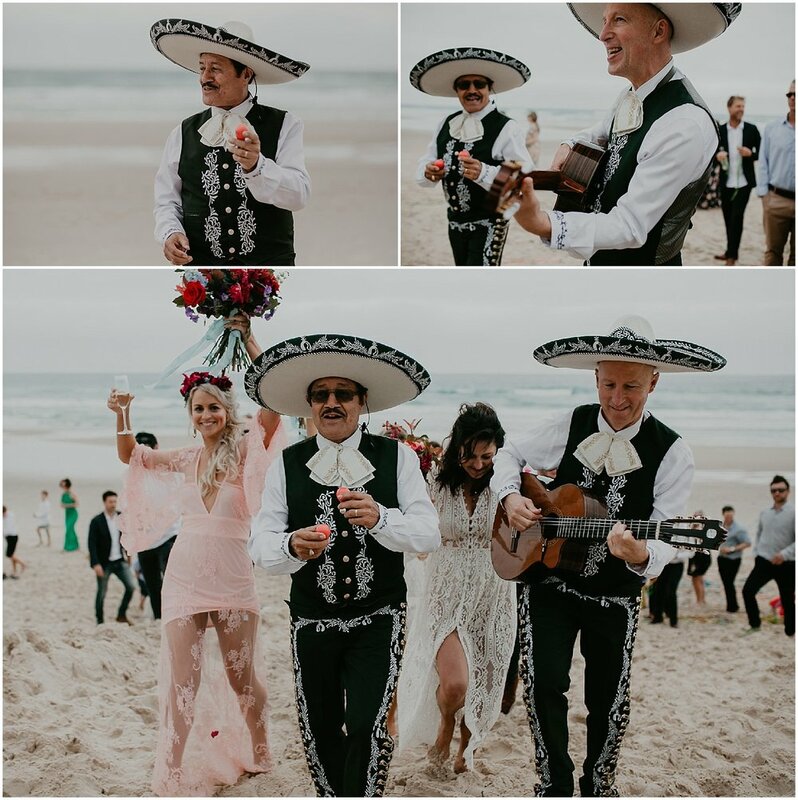 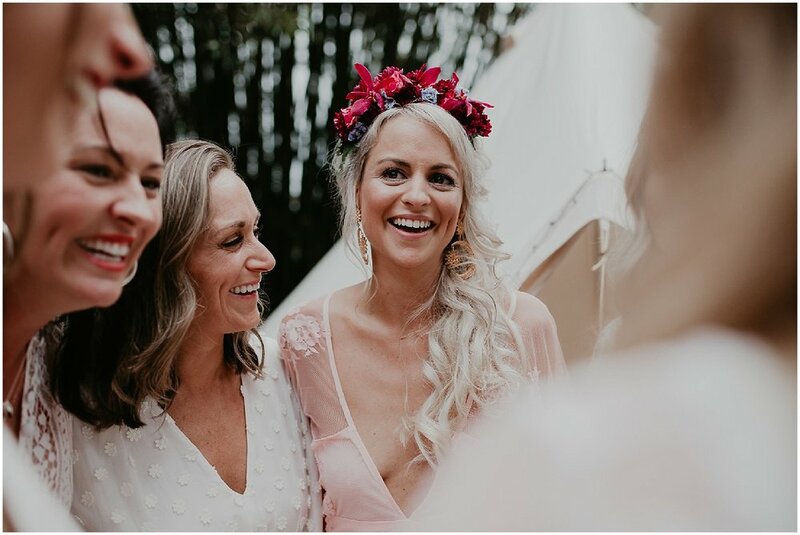 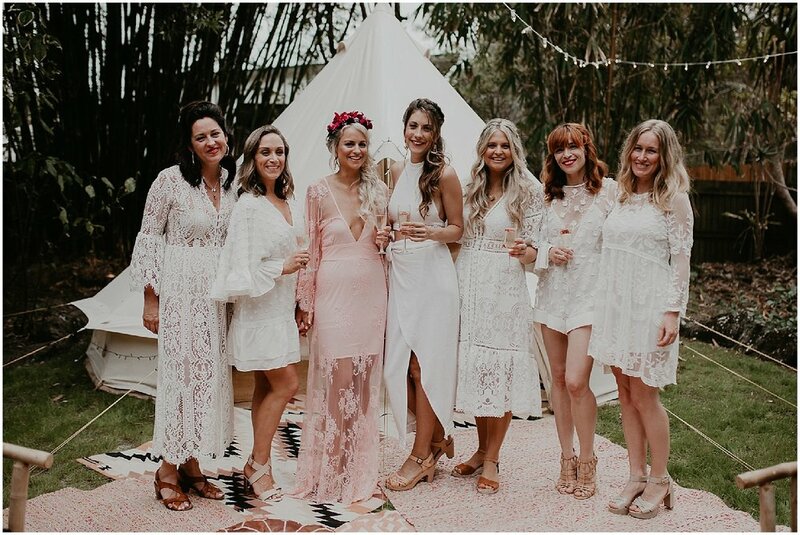 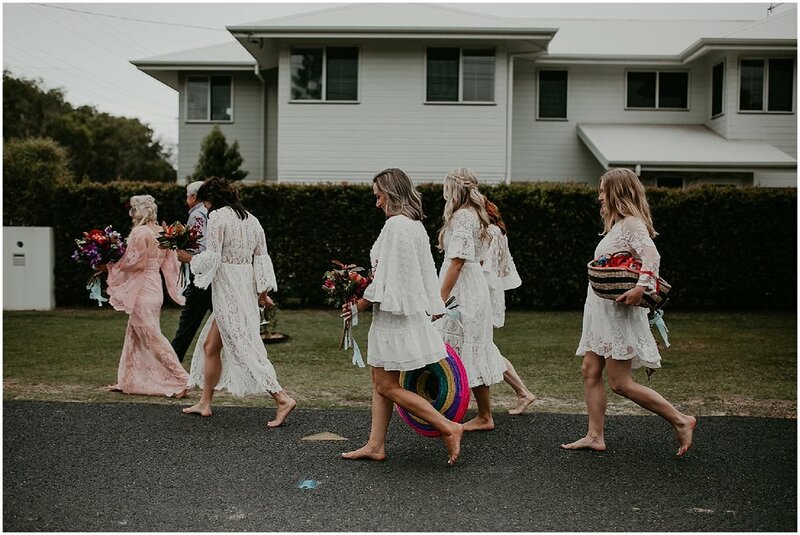 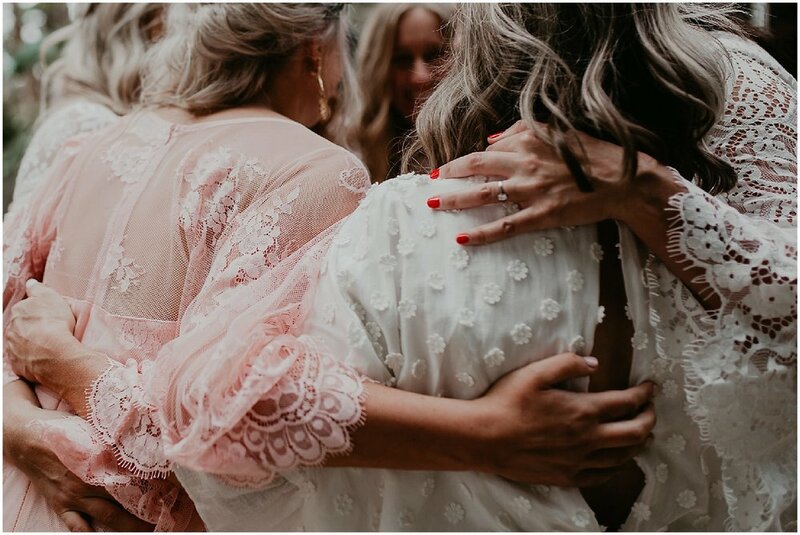 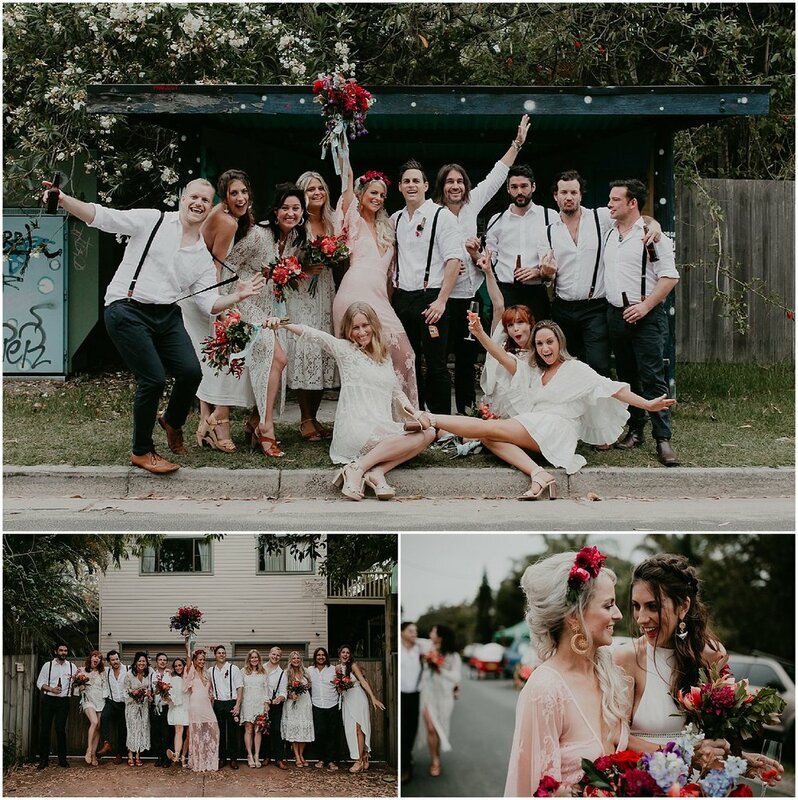 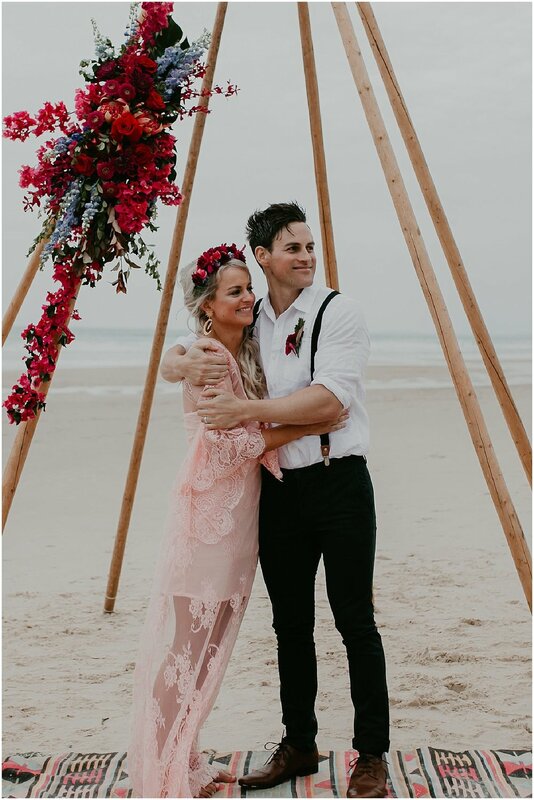 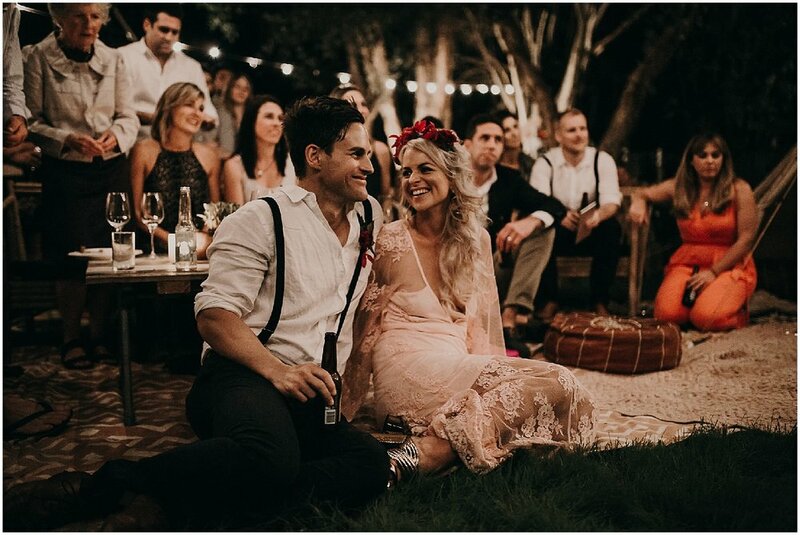 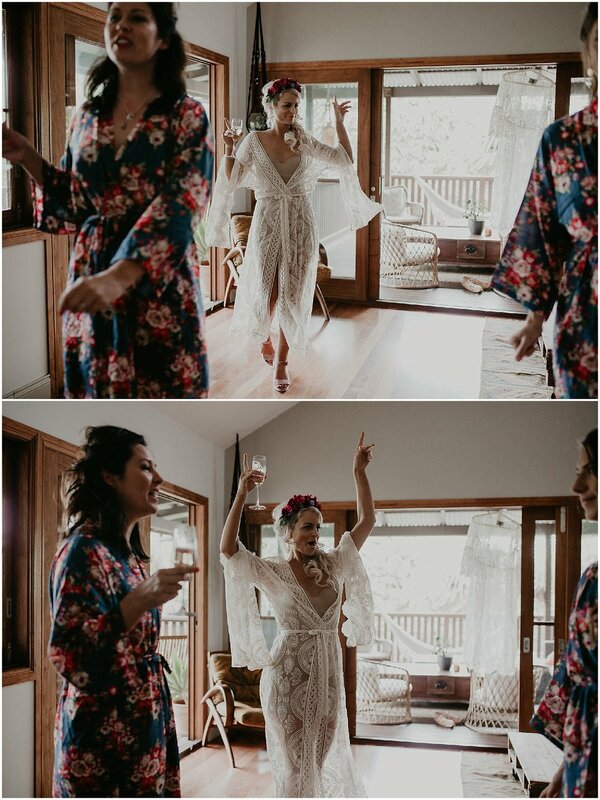 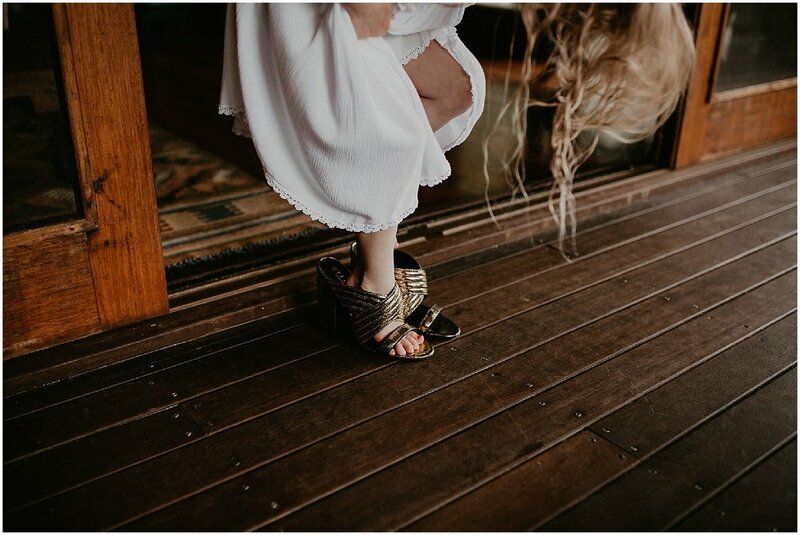 Every little detail was executed with flair, right down to the espresso martini's by the Canavan, Pizza truck by Pepe's and the tambourines and mexican hats fit for the all the moves to the Mariachi band! 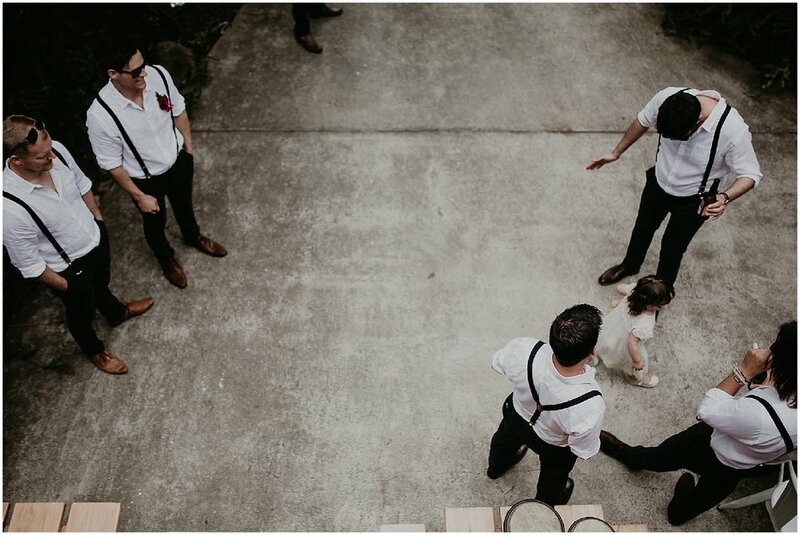 The boys getting ready house backed on to the girls getting ready house so it was only a brief walk over for the boys before the ceremony where Sarah waited, banded arm in arm with her girls to get a first look of her main squeeze before they walked to the ceremony location a couple of blocks away with no shoes and excitement beaming from their faces. 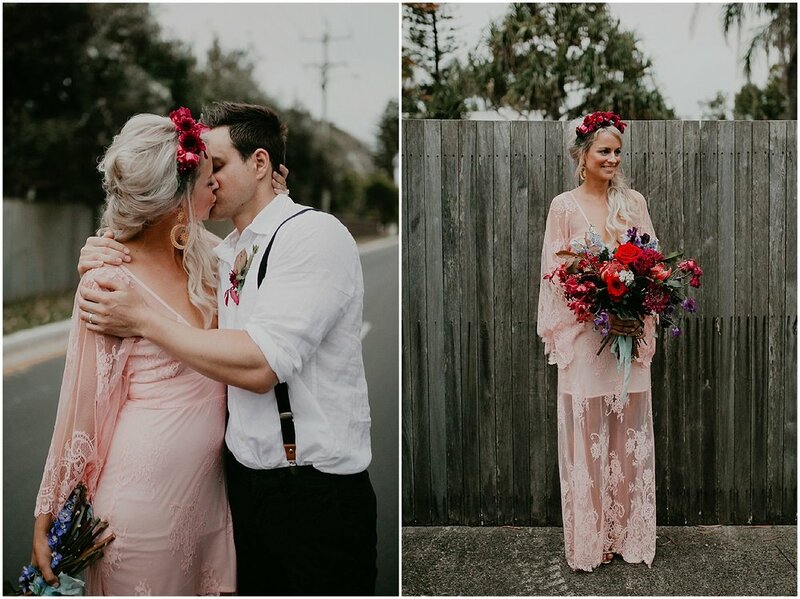 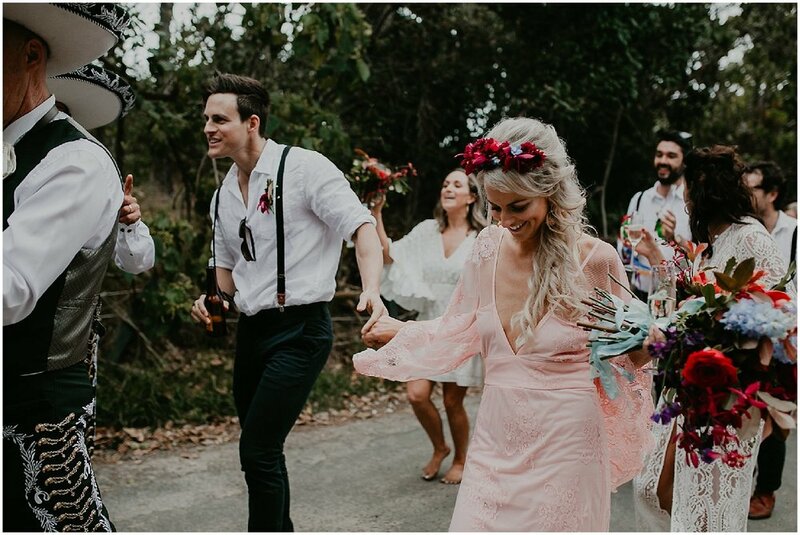 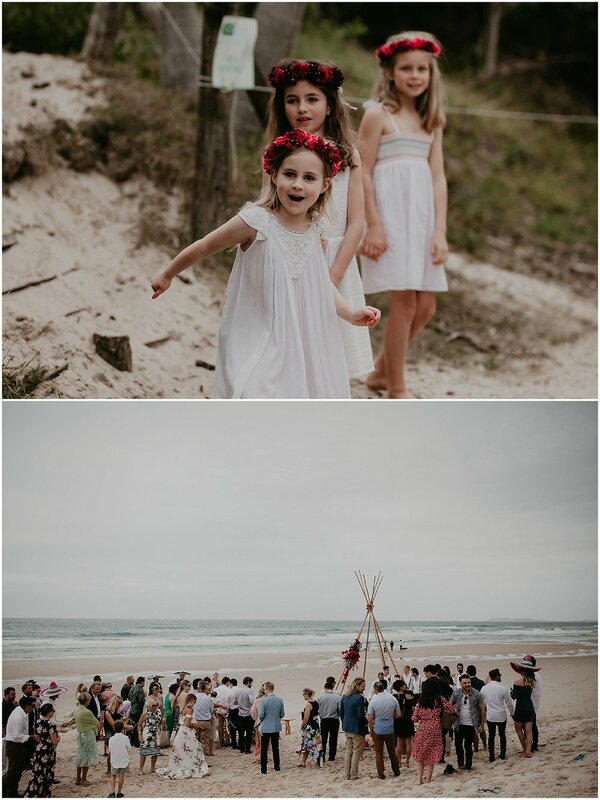 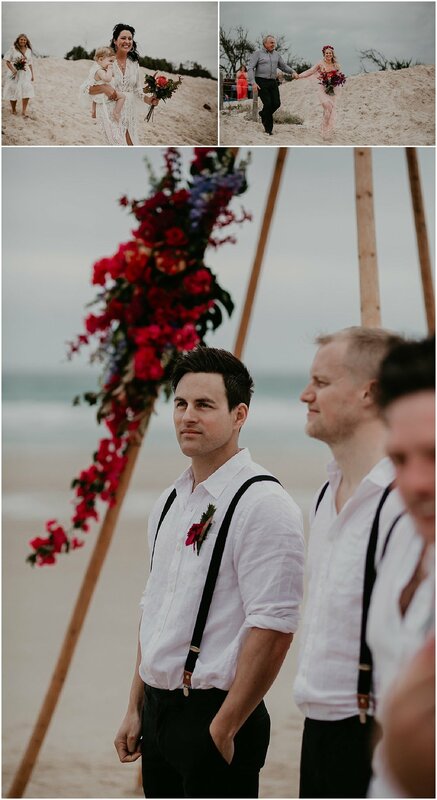 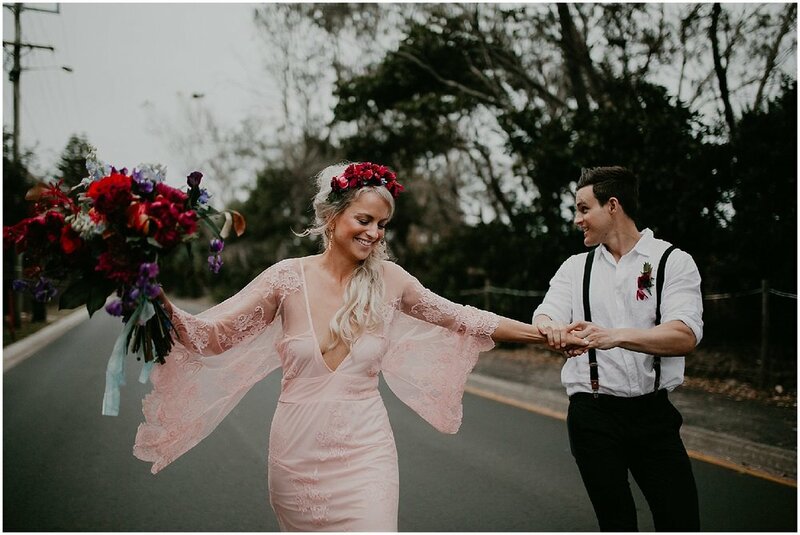 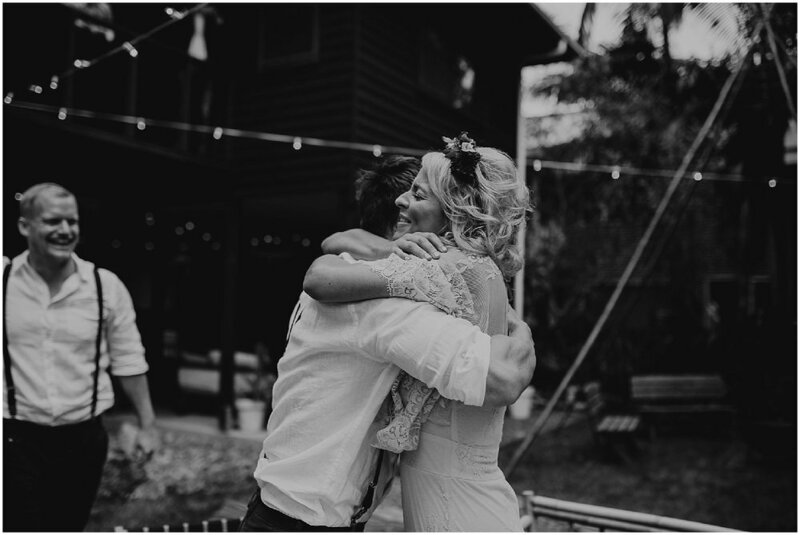 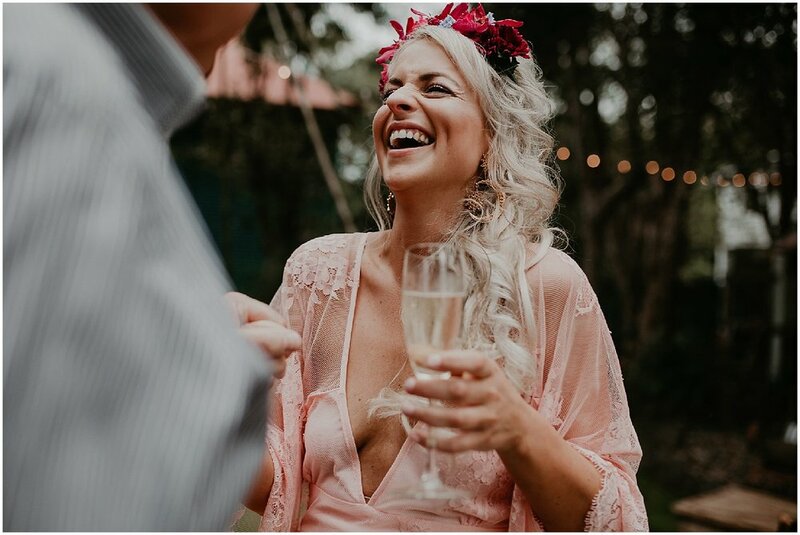 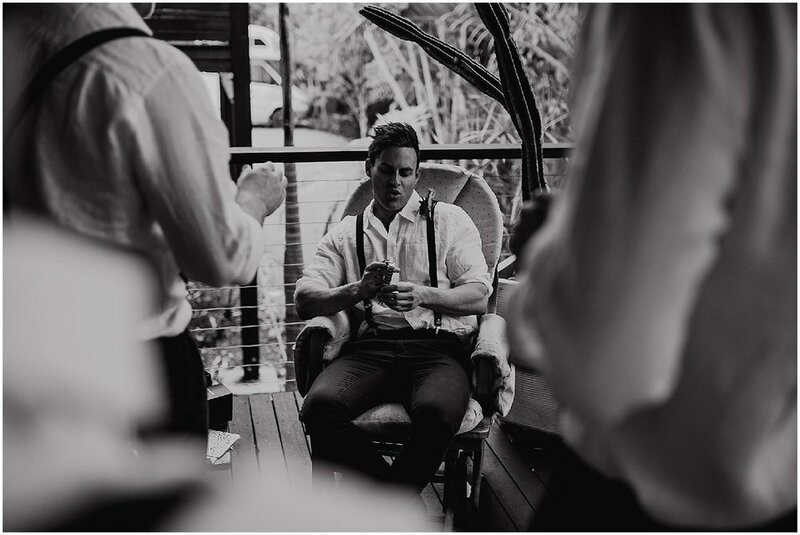 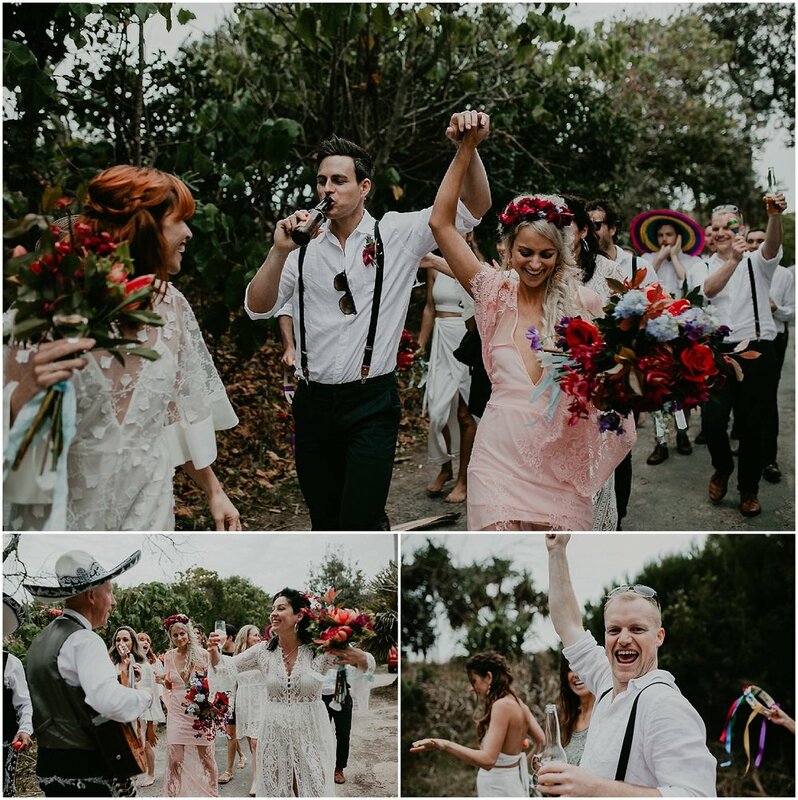 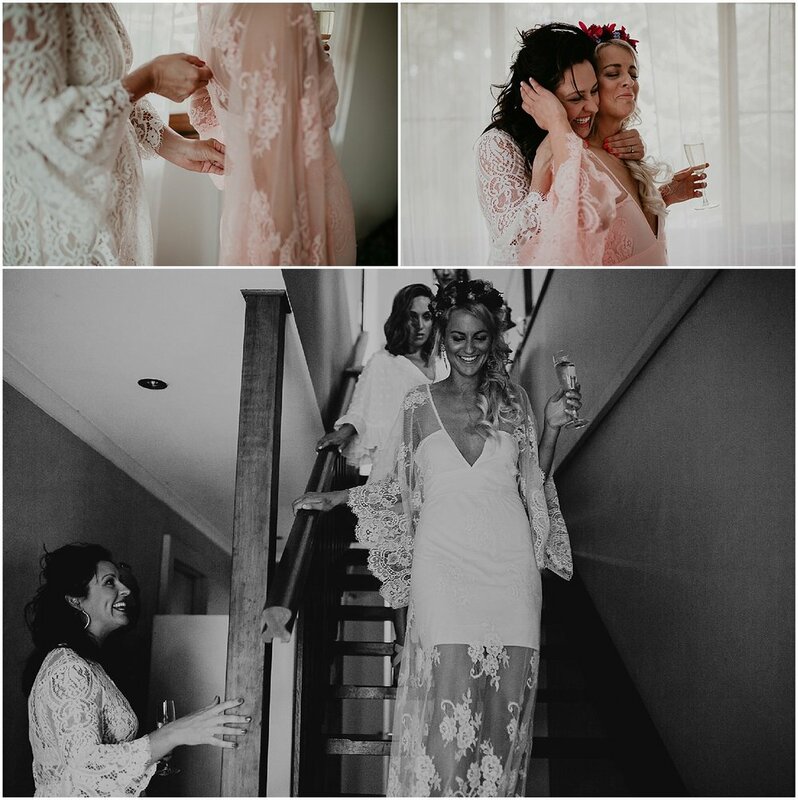 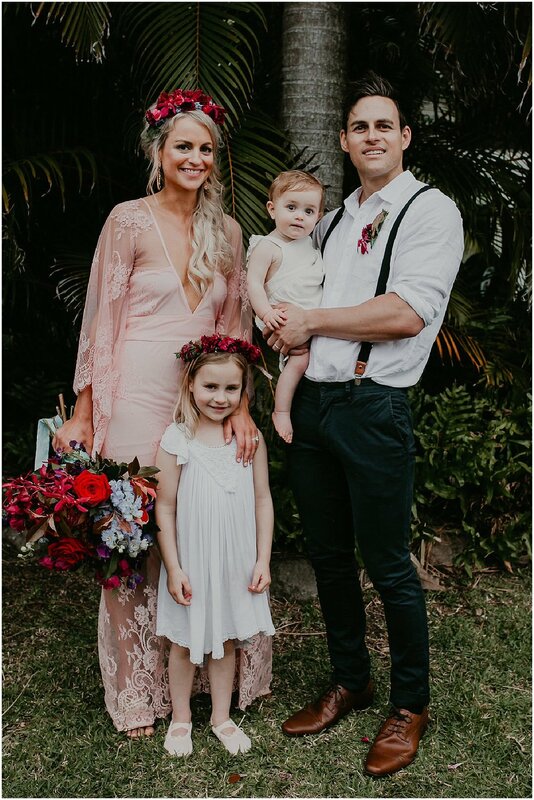 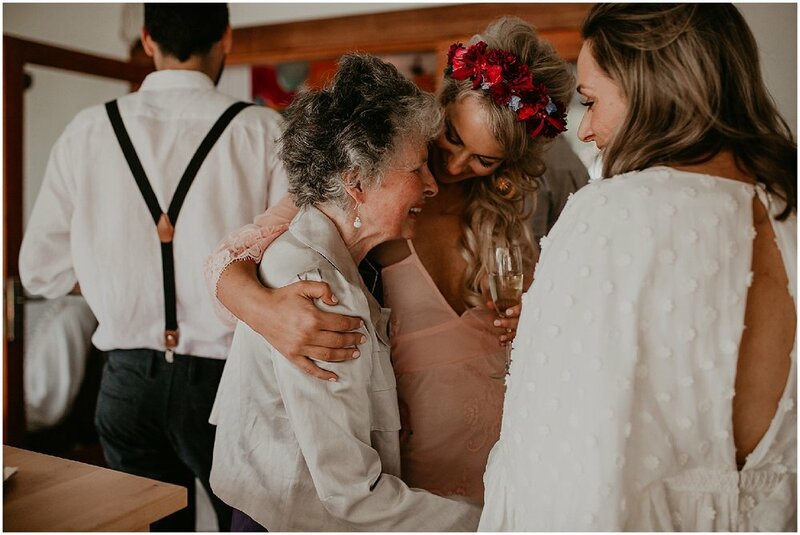 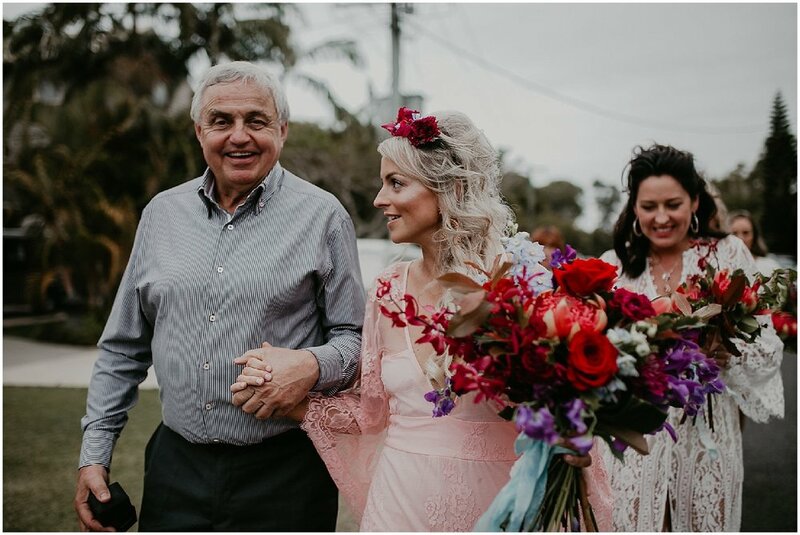 Between Sarah's enormous amounts of kindness and Dan's unforgettable humour in his speech, it's no wonder their day was surrounded with so much happiness. 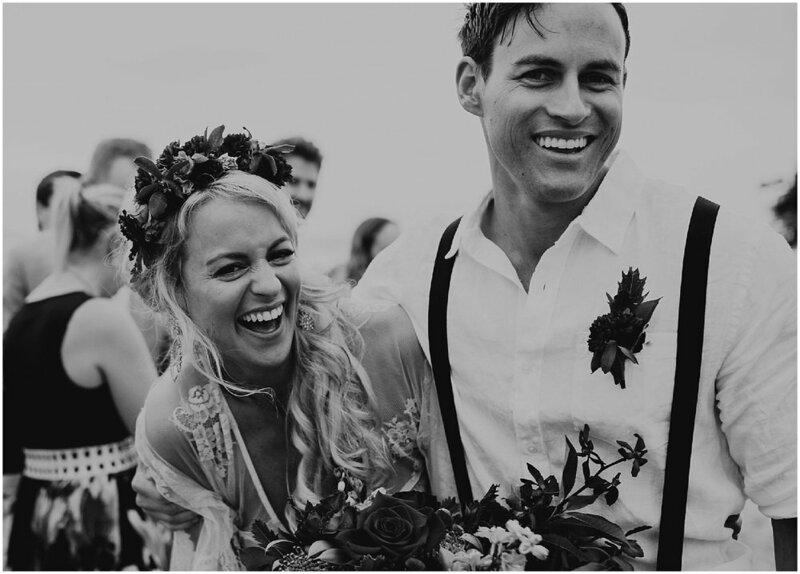 This... this cruisy, easy going couple and wedding day would have to be one of my all time favourites that i've had the pleasure of shooting!